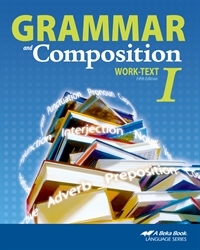 Help your child master and apply proper grammar mechanics to his writing assignments with Grammar and Composition I. 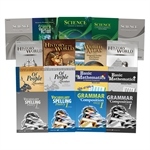 Review punctuation, capitalization, parts of speech, verb usage, and sentence structure to blaze the trail for writing compositions, research papers, and book reports. This work-text walks your child through the steps of writing such as being parallel in his outline, having the correct point of view, using parenthetical citations, and preparing a works cited page. Help your child be an effective communicator by perfecting his writing skills.